The last post ends with a table of nuclear incidents in India. The thing is that when it comes to radiation, there isn’t too much difference between clean and safe. Contamination is unsafe. It is also expensive. So, these posts may take specific perspectives, but they are interlinked. Radiation is not safe. Experts are increasingly in agreement that while we all get some dose of radiation as a part of normal life, there is no level of radiation that can be declared safe. However, for purposes of this article, that will sound paranoid, so let us look at only the more outstanding examples. I have absolutely no clue and have not encountered anywhere the parameters that have been used to conclude nuclear power as safe. In a world hyperventilating over nuclear war, we have in any given reactor hundreds of times if not thousands of times the quantity of fuel found in a nuclear bomb. Security can be breached as was spectacularly demonstrated in a recent Greenpeace protest in France, where the activists got into the nuclear plants by stealth to make their point. The last activist took ten hours to be found. The activists were hounded for compromising security, but it could just as easily have been a terrorist. Humanitarian expectations would be that nuclear facilities are not targetted in times of war. The question here is if things have come to such a breakdown of relations between two entities that they are resorting to killing each other to find a winner, which side would trust the other to not target facilities? Is it a worthy risk to count on non-targeting of facilities by enemies for own civilians to be safe? Sure, the facilities can be defended, but all it would take is to knock a power plant off whack – be it a direct strike or damage to any of many factors keeping the reactor safe. It could be done with operatives. If a Mumbai style assault were made on a nuclear plant, would our security still be able to prevent penetration? What if twice the number of terrorists came? Twenty, even fifty isn’t such a large number. One busload. Like I said, these are dramatic examples, but a security problem can be much smaller, like uh… the dome of a reactor voluntarily collapsing without being attacked. It has happened. Just google Kaiga Dome collapse to see what I mean. This was during construction itself. 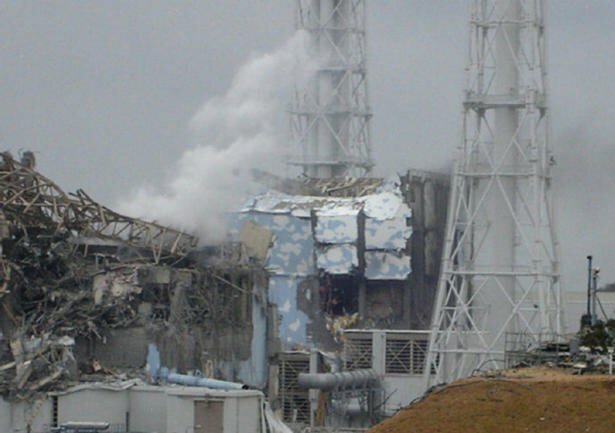 Expert assesments were clear that if the reactor had been in operation, the dome collapse would have prevented a safe shutdown very difficult. 130 tons of concrete falling 13 meters to the automatic control rods below would be messy to put it in very polite terms. In Narora, in 1993, problematic turbine blades recommended replacement by the manufacturers themselves (BHEL) had not been replaced, and resulted in a massive accident where a blade sheared off during operation, cut off other two blades and the resulting disturbance broke pipes carrying hydrogen, which caught fire, which spread and the safety back up wiring being installed along with the regular wiring, got destroyed at the same time, and workers took risks to stabilize the plant, and manually dump liquid boron into the reactor to slow the reactions because the power lost in the accident – both regular power and backup was restored after a blackout of 17 hours. This could have gone very, very wrong and we could have easily had our own dead zone if not for gutsy workers and a heck of a lot of luck. These are just a few samples. Kaiga First? Kaiga and Other Nuclear Stories by M V Ramana and Ashwin Kumar is a mind boggling read on the state of security of Indian nuclear installations a jaw dropping collection of everything from patterns of minor accidents and fires to missing people and heavy water leaks that can only be blamed on people with security clearance acting in irresponsible ways for whatever reason. No, you will rarely find persistent questioning of these issues – issues with the capacity to turn vast tracts of the country into permanent no-go zones – in the regular media. On the subject of nuclear power, the mainstream media is impeccably coloring within lines drawn by a government determined to pursue nuclear power at all cost without paying it the due respect of safety. 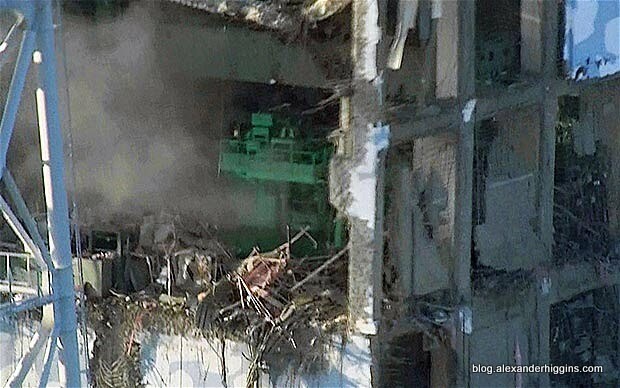 In fact, our determination to ignore risks of nuclear power is so great, that there is a voluntary gag on events unfolding at Fukushima Daichii in Japan. You simply don’t hear all this in Indian media. As far as India is concerned, the accident in Japan was a terrible thing, but it is under control, procedures were followed, and lives were saved. A far cry from the reality of devastated livelihoods, crippling economic losses, contamination above safety levels repeatedly raised after the accident even outside the dead zone. India rarely gets to hear of the contaminated buildings, mutated vegetables, radioactive pollen and other excruciatingly sad stories coming out of there. A nuclear plant that is still spreading contamination, dead workers, children with holes in their hearts, thousands of animals mercilessly killed, abandoned pets starving and freezing to their deaths, a seafood loving cuisine forever blighted by unacceptable contamination, desperate farmers marking their contaminated produce as coming from other places in order to make a living….. the list is endless. The government is not even able to monitor all the things that need monitoring, and where they do monitor, the results have often been so shocking that they have been silenced, only to emerge through independent monitoring or leaks. To put it mildly, this is not safe. Japan is not safe. For that matter, by the time this crisis is over, there is no telling how far this unSafety will have expanded. In India itself (and other parts of the world) independent studies have established a greater incidence of cancers near nuclear plants that nuclear bodies have consistently dismissed. And here’s the deal, after both Chernobyl and Fukushima, the trend is fairly clear that a chunk of radiation related deaths other than the immediate ones from radiation poisoning happen not of cancer, but heart attacks – which is something we aren’t even monitoring – or at least nothing has been released to the public. In still other news, if you read the archives of Tehelka, you will discover the appalling lack of safety in our uranum mines where people working in radioactive dust don’t even wear facemasks, and radioactive ore is carried for refining in open trucks covered with tarpaulin sheets that do little to prevent contamination of areas they pass through. Villages often have contaminated objects in them. There have been instances of contamination of local streams through the run off from nuclear plants or breaches in the tailings ponds. There is a vocal condemnation of anti-nuclear activists as anti-national, criminal, funded by foreign interests and what not, and the usual process of pulling suspects out of hats has happened. However, while the government has been able to fund radio jingles (of all things) to try to make nuclear energy sound attractive to people, it apparently hasn’t found the time to answer crucial questions raised by them, or the commitment to safety to address important issues with existing facilities as a token of intent with regard to safety. For example, there is absolutely nothing unreasonable to want to know evacuation plans in existence. Or to want evidence based reassurances with regards to risk to livelihood (in other words, more than “Don’t worry, nothing will happen”). I think it is absolutely vital for local communities to be provided equipment to monitor radiation levels at will and to call for shutdowns or inspections if alarmed – after all, is is their lives, livelihoods, lands and entire ways of life at stake. In fact, it can prove to be an excellent failsafe – except that the government doesn’t want to do anything that gives locals any power over what happens in their vicinity. Would you trust our government this blindly? On the other hand, the sweet talk continues. Articles continue to be written about the foreign funded NGOs that have nothing better to do than to harass governments. Latest advances in nuclear energy are flaunted . You have PR exercises launched to influence public opinion. Massive nuclear reactor clusters are called “nuclear parks” – sounds most health conscious – a place you’d definitely take your kid for a pecni Another article describes a stage in the storage of nuclear fuel as thus: “radioactive waste is first converted into inert and stable materials which are kept inside stainless steel canisters sealed with lead covers.” Understand this straight. If radioactive waste were rendered inert and stable, there wouldn’t be any need to store it safely, no? But few stop to question. It sounds exceedingly safe with further redundant safeguards and such, but the reality of the matter is that we have had serious security issues that are not being owned, serious information missing that can make all the difference between life and death. For example there is no plan B if something were to happen to a BARC reactor – incidentally a site that also has a lot of used fuel stored. What is a Mumbaikar to do if there is a nuclear alert? Nothing is freely available to the public explaining precautions to be taken, preparedness tips and other information that ought to be freely accessible. The safety concerns around nuclear reactors are so high that it is impossible to cover them comprehensively here. US has not built a nuclear reactor in the last three decades. Last month, DAE in India finally admitted to employee deaths to rare bone cancer linked with radiation exposure. There is no nuclear reactor in the world that is insured by an insurance company. None. Strange, seeing as how nuclear power is promoted as safe. If the probability of an accident was as low as claimed, the high premiums would have insurance companies dancing to the bank and more lining up to get a piece of the action. Instead, you have reactors subsidized by tax payer money, and insured by the government. In other words, if a reactor goes kaput, it is the tax payer bailing out everyone, because the dumb tax payer doesn’t stop to ask why should something safe be refused insurance.